Open doors make happy floors, or so they say. Having an open door can be a lot easier said than done if you didn’t put “doorstop” on your packing list. (We can’t think of why you would.) 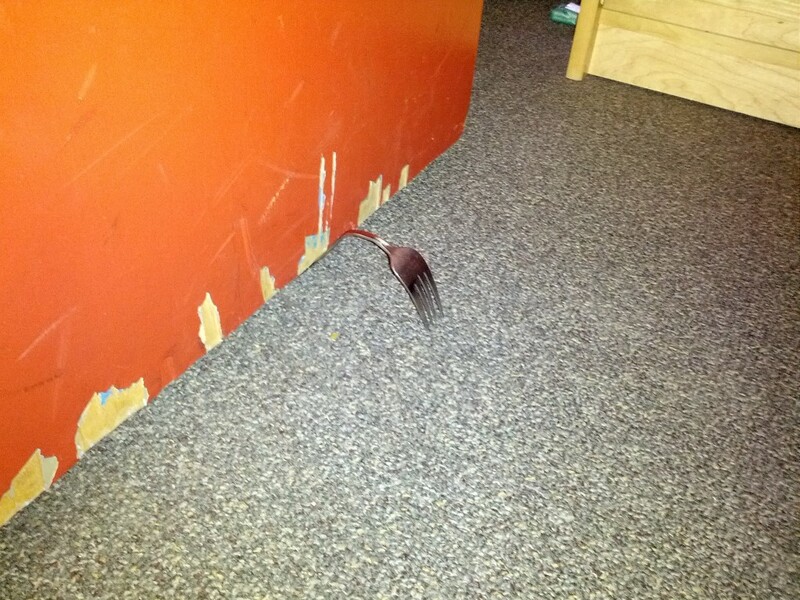 If you don’t have a doorstop, you can use a metal fork to make one in less than 10 seconds. Take a metal fork you have lying around or find one. Simply bend it in half (it’s a lot easier than it sounds) and you’re done! Open up your door, put the handle under the door and put the prongs into the carpet. Bam! Instant doorstop. Now you have an open door. The benefits of an open door are numerous: People come in and say hi, you can hear when crazy things are going down in the hall and you even get better ventilation in your room if something (or someone) isn’t giving off the best of odors. It’s a quick trick that works well and hopefully makes your dorm life a little easier. Hi there, simply became aware of your weblog through Google, and located that it’s really informative. I am gonna watch out for brussels. I will be grateful when you continue this in future. A lot of folks will likely be benefited out of your writing. Cheers!